Seiko Epson Corporation (TSE: 6724, “Epson) and Epson Singapore Pte. Ltd. recently announced the opening of its new sales subsidiary and office in Vietnam. 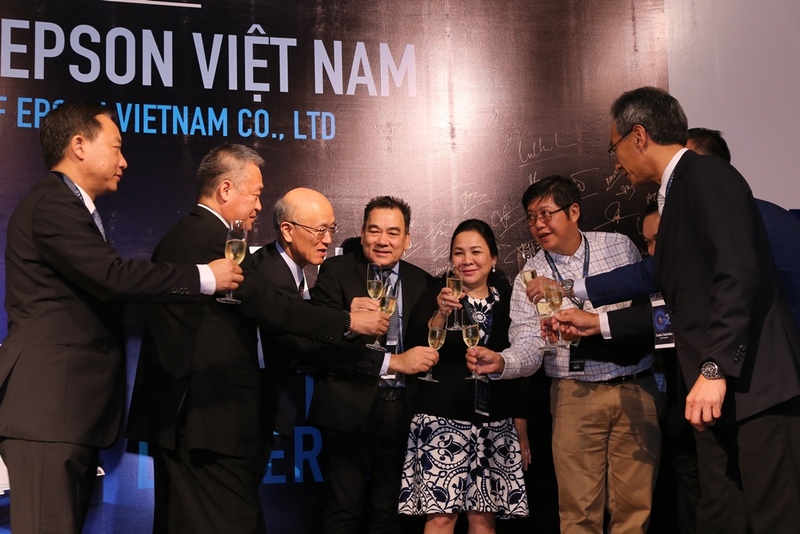 The new subsidiary, Epson Vietnam Co., Ltd. (EVNL), began its operations last April 1 and was officially launched at Hotel Nikko Saigon in Ho Chi Minh City, Vietnam. Hideto Nakamura, general director of Epson Vietnam, said that prior to its establishment, Epson had previously sold products through its sales subsidiary in Thailand. In 2010, it established a Vietnam representative office focused on market research. In 2017, Epson recorded a high demand for its products in Vietnam. According to the latest IDC Quarterly Hardcopy Peripherals Tracker report, Epson’s market shares for high-capacity ink tank printers for the Q4 last year stood at 53 percent. “Vietnam’s printer market is currently dominated by laser printers. However, there is extensive scope for growing sales by emphasizing the advantages of our high-capacity ink tank printers. Epson Vietnam will play an important role in developing this promising market,” Nakamura added. As a market leader, Epson will continue offering unique value and solutions to its customers in the said region through the new Epson Vietnam office. It is located at Nguyen Trai Street, District 1, Ho Chi Minh City in Vietnam. & chief operating officer, Printing Solutions Operations Division; and (1st from right) Tanaka Toshimitsu, managing director, Epson Singapore.